At Oubaai this is the cornerstone of our belief. Home means something different to all is but a home should be a place that nourishes the body, mind and spirit. This is the underlying value that has created and grown Oubaai Golf Resort into the outstanding residential estate that it is today. 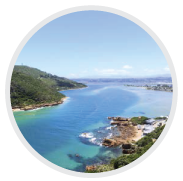 Situated adjacent to Herolds Bay on the Garden Route, a mere 8 minutes from George Airport, this hidden gem is ideally located with 180 degree views of the Indian Ocean. Authentic is one of the first words that comes to mind when thinking about Oubaai, designed to blend in with the natural splendour of the Cape. The eco-friendly ethos has created a natural paradise – providing a haven to an array of wildlife. State of the art security systems offer complete peace of mind, enabling Oubaai residents to wander the expanse of the 546 hectare estate without a worry. The Ernie Els 18 hole Championship course is kept in mint condition and it is one of the most beautiful settings that can be seen anywhere in the golfing world. It was recently awarded 3rd best conditioned course in Southern Cape and 10th in South Africa. The layout of the course is a traditional links type layout where veld grasses line the manicured fairways. The course measures 6,516 metres from the pro tees, which is uniquely long for a coastal course. We want our residents to make the most of this remarkable estate and that means ensuring their safety at all times. Oubaai has invested heavily in state-of-the-art security systems to ensure free-range living for you and your family. And if you do love golf, you are guaranteed to fall in love with the game all over again. This Ernie Els 18-hole ‘Signature’ Championship Course certainly has the ‘WOW’ factor. Indeed, it can claim to have one of the most awe-inspiring settings of any course in the world. Today, Oubaai is one of the country’s premier golf resorts and home to some of its most outstanding real estate. With a few select stands, residences and apartments now available to purchase, there’s EVERY REASON to make ‘The Gem of The Garden Route’ your new home. 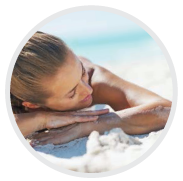 ...whether you’re into fine dining and entertaining, fitness, outdoor pursuits or spa pampering. And getting around couldn’t be easier: whether you’re nipping across to a neighbour’s house, dining at the clubhouse or working out at the gym, simply get in your golf cart and go. While you’re at liberty to lose yourself in the resort’s 242 hectares of natural beauty, a short eight minutes drive will see you at the doors of George International Airport hopping onto your private jet or on the next direct flight to Johannesburg or Cape Town. Surfing at Victoria Bay, one of smallest and most hidden bays on the Garden Route, renowned for its safe bathing and ‘long ride’ big waves. Hiking and nature trails in the nearby Tsitsikamma National Park, a protected area of natural diversity defined by its expanses of indigenous forest and fynbos, deep river gorges, kloofs and spectacular waterfalls. This quaint, charming seaside village is beautifully secluded and serene – a best-kept secret for sun-worshippers and surfers alike. Nestled in a sheltered rocky cove, Herolds Bay stretches out beneath Oubaai, its wide golden beach beckoning the estate’s residents to take a stroll on its soft sands or go for a swim in its safe, warm waters.